Forget what The Haters might say... 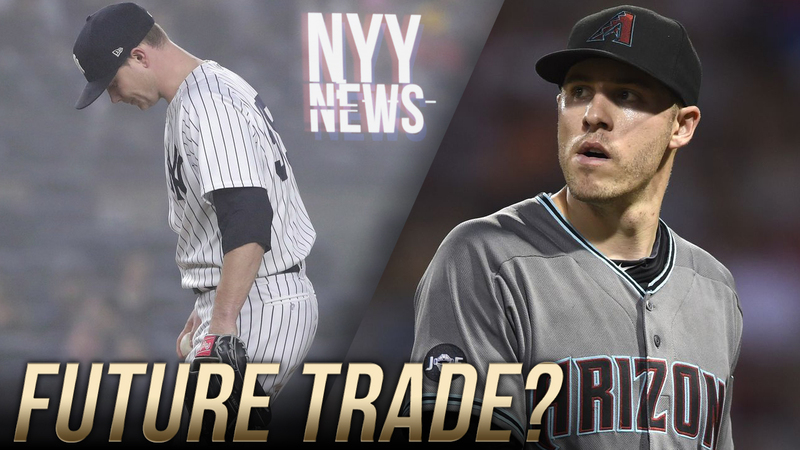 There's still a high possibility Patrick Corbin could be traded to The New York Yankees, even if The Diamondbacks are in contention. The most logical haul, is to send Sonny Gray over with some prospects. Baseball fans seem to forget, Sonny Gray has had enormous success in the past. I for one think, Sonny Gray was made for The National League. I also think, Sonny Gray could be as dominate as Patrick Corbin in The NL. Why Sonny Gray? He's under control till 2020 and cost about 1 million dollars less than Corbin. This would give The Diamondbacks some flexibility, when it comes to filling the void of Corbin. When he becomes a free agent after this season, The Heavy Favorites to sign Corbin are The New York Yankees. If Sonny Gray continues to have a subpar decent year for The Yankees. A Gray for Corbin swap isn't that far fetched. It will also keep The Dbacks in contention, if they do decide to trade Corbin. A trade with The Yankees can also fix The Dbacks long term plans at First. If they lose Goldschmidt to Free Agency in 2019. The Yankees have two young players in Austin and Bird, that show potential in becoming superstars on the Major League level. The Yankees have many log jams in many positions, that could make players like Austin or Bird expendable.